Need a teacher gift idea? 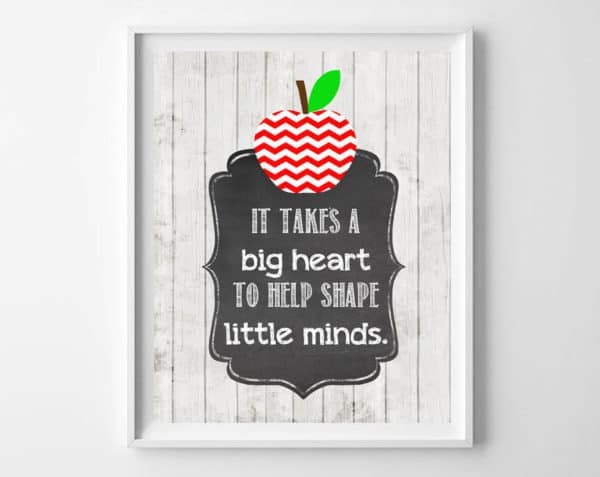 Today’s post shares a darling printable, featuring the phrase “it takes a big heart to help shape little minds.” On a whitewashed wood grain background, a chalkboard tag, and a sweet chevron apple, your favorite teacher will love this gift! Just click to download, print out at home, or send to your favorite photo printer. 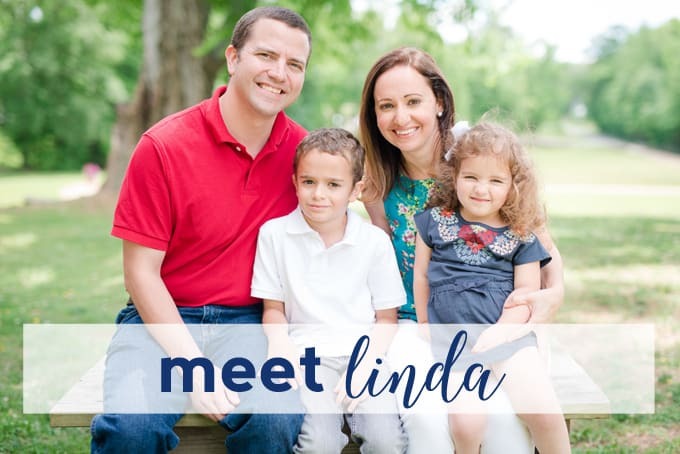 File prints best at 8×10. Add a frame and a bow for a gift any teacher would love! 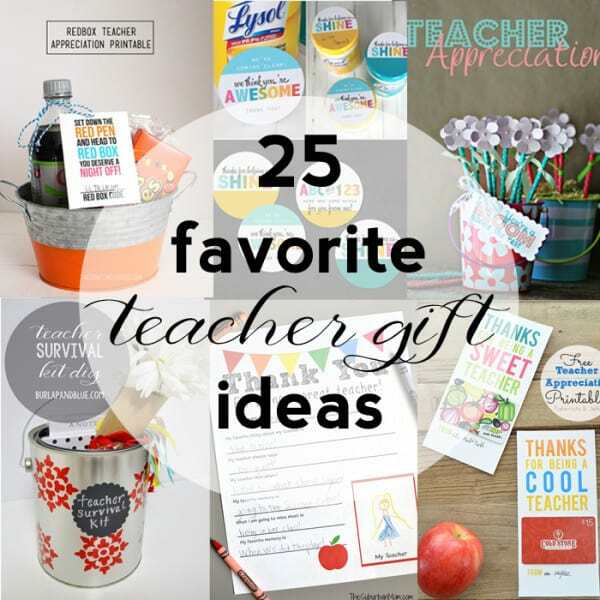 Looking for other teacher gift ideas? Look no further! I’ve gathered 25 of my favorite creative gift ideas–from DIY gifts to printables and more, there’s something here for everyone! 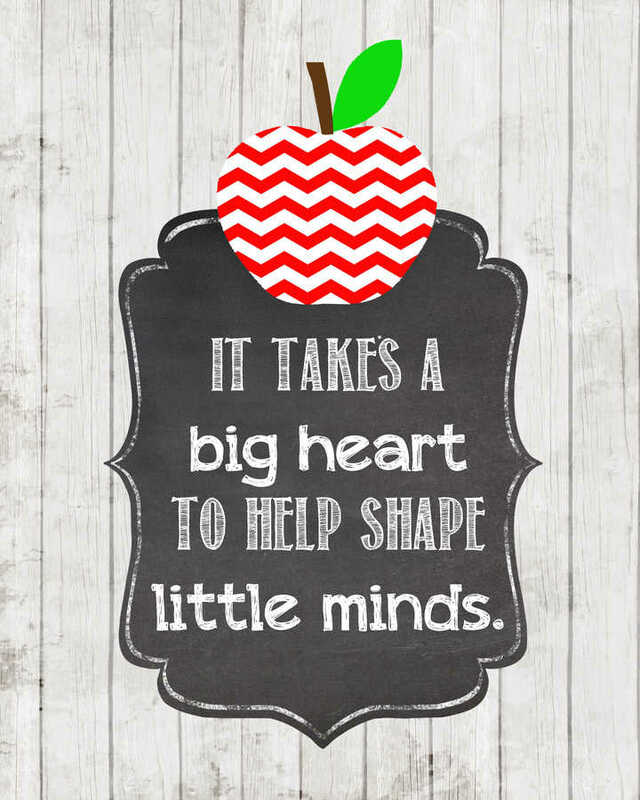 Thanks for reading all about my free printable teacher gift idea! Have a crafty day!